Create The Wedding Reception Of Your Dreams! Your wedding day is a "once-in-a-lifetime" event! 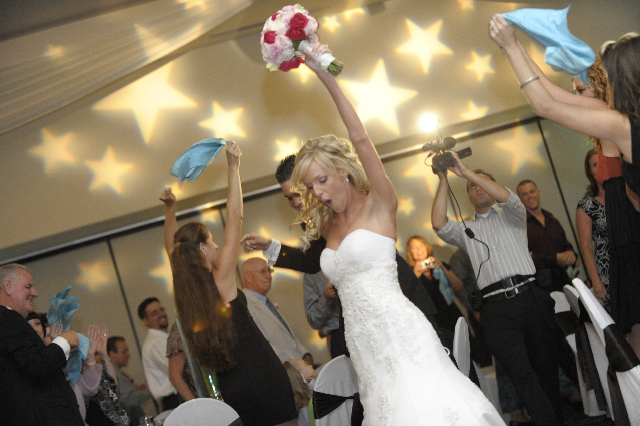 The disc-jockey can make or break the success of your reception. Let our radio professionals make it the perfect party! Our DJ Will Serve As Your Party Host! At a wedding reception a disc jockey is a lot more than just a source of music. He's the master of ceremonies. From announcing your arrival and conducting the toast, to celebrating the first dance and memorable garter and bouquet toss. Prior to your reception we will provide you with our exclusive wedding planning guide. This completed form (avail. online), and any help you may need from us, will make sure your needs and desires are executed flawlessly! The music mix at your reception is absolutely critical. The crowd will be diverse, and our DJ will play every type of music, not just what you hear on our radio station. We'll be prepared to play everything from Standards to Oldies, Country to Hip Hop. And, requests are always welcome! No extra charge for specific DJ's. Free unlimited consultations! No "upselling". No out-of-town DJ's. No subcontractors! Free Dance Floor Light Show INCLUDED!! FREE L.E.D. 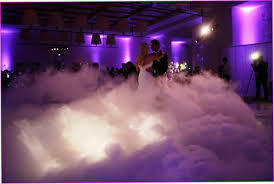 Dance Floor Lighting Included!